Preface: The first point we want to address is what the application actually does. Then we will address the challenges we are tackling, this is where the various prompts we are addressing can be inputted. We should be able to address questions such as why are the existing solutions not working or insufficient. Afterwards we can briefly go over the various scenarios where our application is directly applicable: sports, alcohol anonymous, family relationships, long distance relationships, support groups, etc. The important thing to note here is that Sandals is a simple solution to a set of complex challenges. Finally, we want to go over real world application, things we want to expand upon and our vision for its implementation. Additionally, we want to briefly go over how we built out application and the most important aspects/logic behind it. We can end by opening the floor to questions. Description: Sandals is an API that allows users to create profiles and connect on a real time basis. 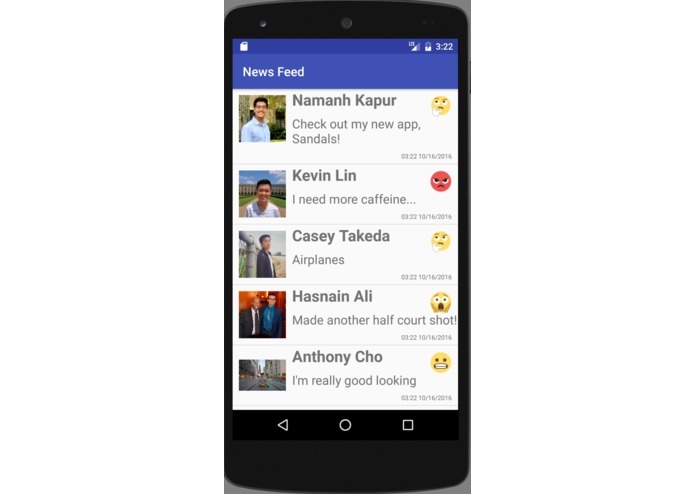 Sandals will give users a targeted communication tool, opening a news feed to real time statuses and moods. 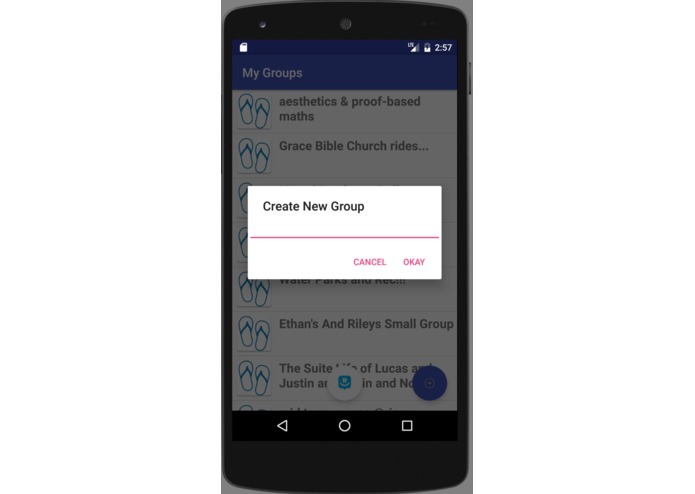 Users create and join groups that will allow users to keep in touch in a way that is less intrusive than text but more supportive than open ended social networks. Challenges: If you were to study your Facebook friends and organize them by how you know them, workplace or college or family friends, you would quickly see groups forming. Sandals gives you the chance to communicate with those groups with an updating status and mood. Current ways of targeted communication are inefficient. People are easily lost in the flow of conversation in any group chat. Yet on the other end of the spectrum, social media platforms with profiles do not adequately address an individual’s desire to express oneself because these social media outlets are open to a wider audience and are susceptible to criticism to more sensitive topics. Application: Sandals is a simple solution for a number of complex social challenges in the world today. • Alcohol Anonymous – Sandals offers a platform where groups can monitor one another’s mental health and keep each other accountable without being overly intrusive. No more information is given than the user is willing to give. However, victims of poor mental health commonly exhibit signs of such and most often desire help but lack an obvious means to get it. • Family – Families can easily keep in touch. Whether it is parents watching for the moods and updates of their children in college or wary children taking caution of their parents’ moods, Sandals offers families a new way to keep in touch. • Sports – Sports fans now have a way to keep in touch with one another’s reactions at every moment of the big game. Users can express their anger at Kevin Durant moving to the Warriors, sadness or joy at the Bronco’s defeat to the Chargers, or excitement as they wait for the start of their favorite Olympic event. 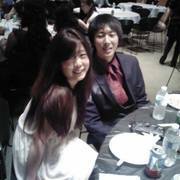 • Long Distance Relationships – Long distance relationships are difficult to say the least. According to Statistics Brain in a 2016 study 40% of long distance relationship relationships don’t work out. It’s a challenge in itself to fully understand the feelings of one’s partner. Adding on the challenge of distance can be overwhelming and make this challenge even more demanding. Sandals offers a different path of communication that allows those in a relationship to communicate with each other in a new way. Through moods and brief status updates throughout the day, one doesn’t need to read between the lines. There is no need to have to directly tell your partner how you’re feeling constantly and you shouldn’t have to miss out on what they’re thinking or feeling. • Support Groups – Discrimination is still an abhorrent issue that affects us today. Sandals gives people a platform to form support groups that can offer a safe network and group of people to connect. 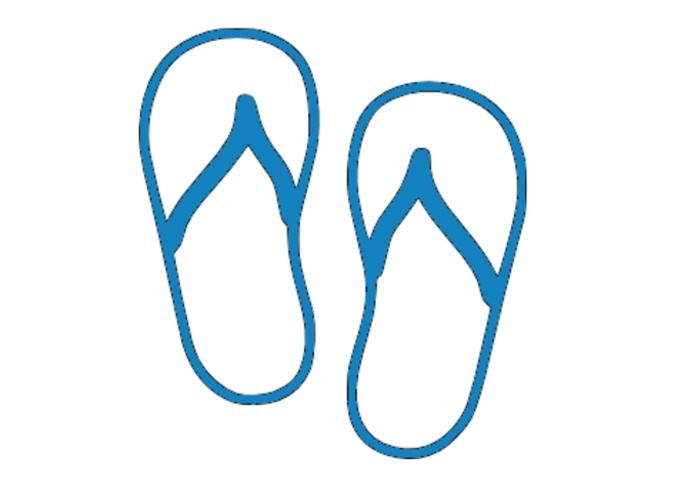 Groups of people that may have formally felt isolated and ostracized can now express themselves freely with Sandals. Why is it hard to be updated with everyone’s current thoughts. How are my friends doing? Making the most out of different social groups. Users are able to customize their own groups and these groups can range from a lot of different topics, both on personal and professional levels. For example, users can make a family group to post how each family member is doing. 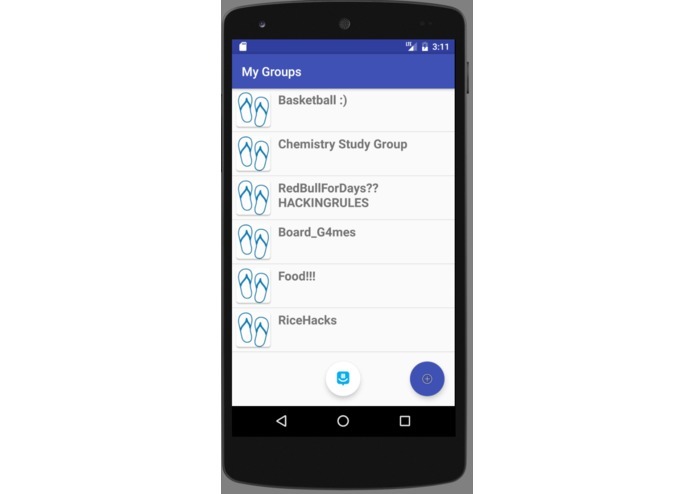 Used Java, Android-Studio, FireBase Database system integration, and GroupMe API. Lack of time, confusion in using Android-Studio. Made the most out of Java, and were able to make a fully functional proof of concept app! Learned how to use Android-Studio and gain some valuable modularization skills. New updates to features and platforms!